SOLD SOLD SOLD Elite windshield tri-toon offers luxury and performance. Brushstroke flooring, privacy curtain, stainless steel vents and inserts all add to the luxury appeal. High back Admirals chair, Infinity stereo c/w 6 speakers, sink, curved acrylic table, mood lighting and individual seat covers. 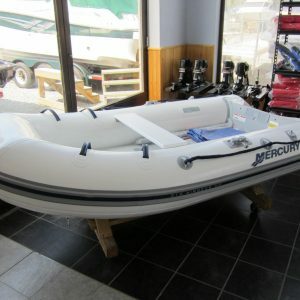 Docking lights, 25″ center tube, high performance lifting fins. 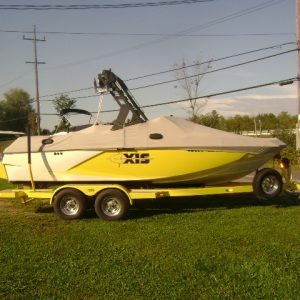 Powered with a 250 Verado Pro. Call today. 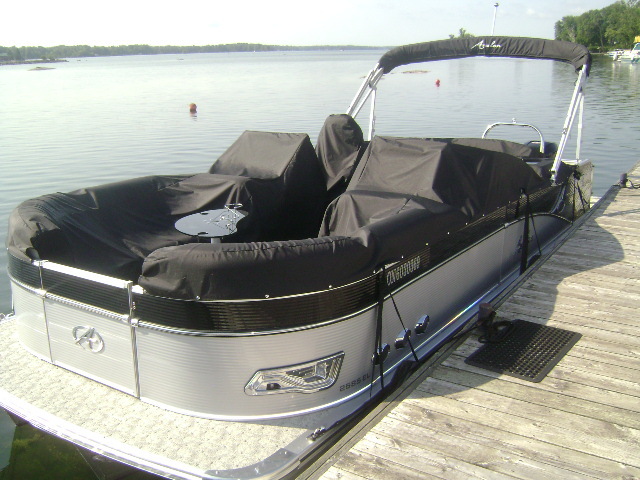 This windshield model tri-toon offers luxury and performance for your on the water needs. Brushstroke flooring, built in trash container, privacy curtain, stainless steel vents and inserts all add to the luxury appeal. High back Admirals chair, Infinity stereo with USB/aux, 6 speakers and iluminated rings, comnplete with sink, curved acrylic table,mood lighting, and individual seat covers. 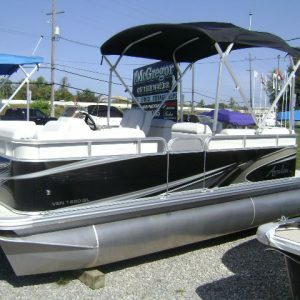 This boat includes docking lights, 25″ center tube, high performance lifting fins. Powered with a 250 Verado Pro. Call today.